Chasing Life This 61 minute documentary film looks at some of the exciting recovery options for those struggling with opiate addiction. 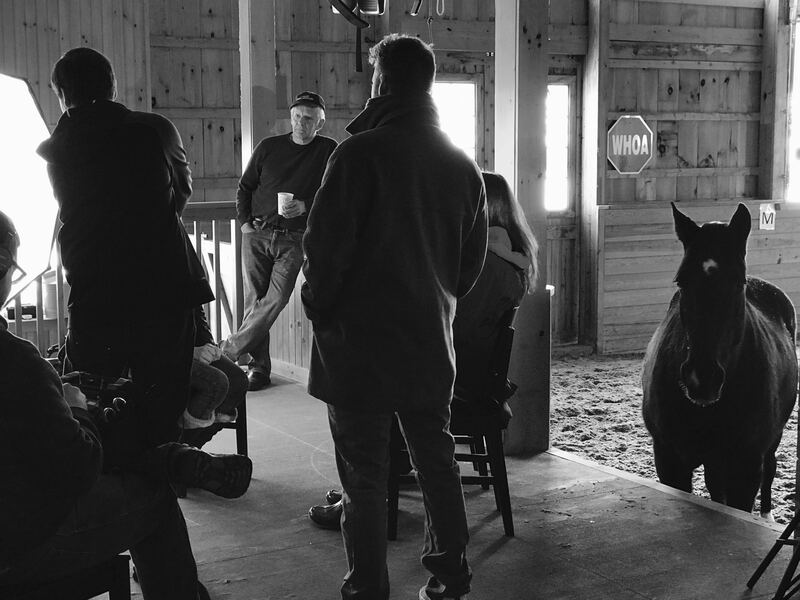 Featuring the NYS OASAS Club House and OASAS Commissioner Arlene González-Sánche, the equestrian therapy model, EAGALA and Saint Christopher's Inn. The film is a follow up to the 2014 Peers Film, "Chasing It." It completes the circle from the tragic death of Chris, From Chasing It, to his girl friend, Katie, who is now 2 years in recovery from her own opiate addiction. Produced in 2017 and received a 2017 Telly Award, Our tenth! [Chasing It] Doug lost his son to a heroin overdose. His best friend, his child and his future found dead on the floor, with a needle in his arm and the shower running. [Dating Violence:What to Do] Dating violence affects millions of young people every year. Very often they are trapped in a relationship they know isn't good for them, but don't know how to end it. This interview of Ashley Retta, a victims advocate was conducted by Carmel High School senior Josephine Gasperi that takes a look at this dilemma too many high school girls face. 1 in every 4 high school girls will suffer some kind of abuse before they receive their high school diploma. Ms. Retta discusses the signs of domestic violence and dating violence and what steps to take when you ora a relative or friend is in an abusive relationship. [I Feel Like a Nobody] A look at bullying and how it affects those being bullied and the bullier.Featuring Lt.Joe Schillaci, Miami Police Department and Jennifer Hanley of the Family Online Safety Institute. [How Do I Look?] An examination of eating disorders that are afflicting our youth.Features Dr. Bob Milich. [Erasing Hate] An interview with Judy Shepard, of the Matthew Shepard Foundation. Matthew was a victim of a hate crime when he was murdered in 1998 for being gay. [Marijuana Legal?] A debate between Dr. Matt Bellace, a youth motivational speaker and stand-up comedian since 1995. Dr. Bellace has a Ph.D. in clinical psychology with a subspeciality in neuropsychology. And Chris "jonesy" Jones is an actor, comedian and proponent of the legalization of marijuana for recreational use. 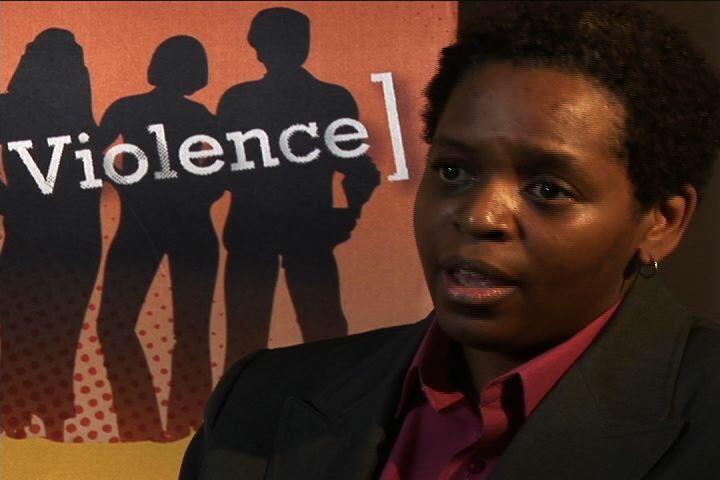 This 60 minute docu-drama explores the issues of dating and domestic violence. 1 in 4 teen girls will suffer from some form of dating violence before they graduate high schools. "Through Their Eyes" combines and original screen ply with our interviews to form our message about this serious issue. [Break The Cycle] We were very fortunate to talk to Tonya Turner and Tabitha Joyner of Break the Cycle. This organization works with teens in recognizing and addressing the issue of dating and domestic violence. [My Sister's Place] Lauren Vaughan is the Executive Director of My Sister's Place in Washington,DC provided us with a most engaging and powerful interview. [Dr. Matt Bellace] a comedian and psycologist who speaks at schools and youth groups in an engaging way about how laughter is a natural high. This is the topic of his upcoming book. [PRIDE Crawfordsville] This youth group is an award winning PRIDE program where kids follow the four pillars of PRIDE with a great deal of dedication and fun. This 30 minute documentary won a Telly Award. It features some important information from Dr. Nora Volkow, Director of the National Institue on Drug Addiction. Together with and original screenplay, :The Nothingness Company" it was the 2008 national broadcast. [Generation Rx] 2008 – Prescription drug misues is becoming a very serious problem with youth today. Peers Influence Peers XIII: Drugs, Violence Why? This 60 minute documentary won three Telly Awards. Here are two riveting accounts on struggles with addiction and recovery. [Tommy] 2006 – Tommy from Pelham, NY speaks to the horror he has faced with his addiction to Cocaine. [Trenten] 2006 – An addiction to Meth is pretty much a death sentence. Trenten from Arizona talks about his struggles with a meth addiction, how he has found success in “Teen Challenge USA” and his prayer that his girl friend will also find her way to recovery. This 30 minute documentary combined with an original screenplay, "My Name is Amber." was the 2003 national broadcast. 2003 – “Straightway” is an exciting singing group from Houston, TX that performs all over the south. The members of the group have some similar experiences that have brought them together. 2004- Teenline is a youth “Warm Line” where teens are trained to handle calls for help concerning drug use, family issues, etc. This 60 minute documentary won the Platinum Remi Award at the Houston Film Festival. Here are some of the interviews we conducted. 2002 - Peers took what proved to be a very exciting and rewarding road trip to California. We met with youth from all parts of the state and had some moving experiences. 2002 – Dustin who comes from the San Diego area talks to Peers Partnership’s Samantha about his experiences with drugs. This 30 minute documentary combined with our first original screenplay, "Just One Night" was the 2000 national broadcast. 2000 – Peers traveled to Florida to meet with the students of Lake Brantley High School. The captains of their very successful football team had some good advice to share. 2000 – Sometimes drinking and driving can have very disastrous effects upon innocent people. The students of Lake Brantley talk about a terrible loss that they suffered. This 60 minute doc features many stories and words of advice from young people to their peers. 1999 – Peers took a trip to Syracuse, NY where they met April. She was an outstanding Track and Field athlete who was looking forward to participating in the New York Empire State Games with her brother. Unfortunately, her dream never came true.